This superb Villa, built in 2017 is located in the beautiful gated oceanfront residential community of Sosua Ocean Village. Sosua Ocean Village is a great place to vacation with your family, located right on the ocean the community has many amenities like pools, water park, spa, gym, tennis, and basketball courts. and a new kids play zone. There are two beautiful ocean front restaurants, serving an excellent variety of foods. There is also a 1100 sq. foot rooftop patio with a lounge seating area that features an additional outdoor shower, ideal when your sunbathing on the rooftop and need to cool down. The kitchen is furnished with stainless steel appliances and a variety of small appliances for all your cooking needs. Microwave, toaster, coffee maker, blender as well as a variety of pots, pans and dishware. You will love having breakfast or coffee in the sunny kitchen or my favorite spot the roof top patio with a view of the Ocean. The living room features a large sofa and chair and provides plenty of seating for everyone to gather around the 50' HD TV equipped with digital cable. * Please inquire at Sosua Ocean Village reception ( at the spalsh Park) for rates for the amenities as the rates vary depend on time of year. If you decide to venture out into the nearby towns of Sosua and Cabarete, you’ll have an excellent choice of visiting a variety fun activities, most of which are just a 7-14 minute drive from the Villa. Kite beach is consistently ranked as one of the best wind surfing spots in the world by a variety of sources. The world's largest kite surfing competition is hosted by Cabarete each year. There are water activities everywhere! Wind surfing, kite surfing, sailing, paddle boarding, deep sea fishing the list goes on. You can relax on the beach: enjoy the dreamy sands of Sosua bay with fantastic swimming, snorkeling, food and diving opportunities. Encuentro beach is considered one of the best surfing spots in the Caribbean. Caberete beach and surf village has numerous bars and restaurants right in the sand with constant action all day, and all night! A wide range of tours can keep the adventurer in you busy for days. Waterfall tours will immerse you into the Dominican wilderness that is largely undiscovered by most tourists but something you’ll never forget. For the golfers, world class golf can be found about 40 minutes away. The villa is located within the beautiful Sousa Ocean Village community, and has a resort like setting and amenities. like Restaurants, Splash park, Laguna SOV entertainment center, Tennis, Spa and 24 hr Security. Beautiful home in a well secured community. Very relaxing either poolside at the villa or at the pools Oceanside. Great water park area for kids, all just a couple minutes walk from the villa. Had a great time exploring the local beaches and restaurants, as well as zip lining for the first time. All our meals were great, whether we dined within Ocean Village or in Sousa or Caberete. Owners were fantastic to work with!! Thanks for staying with us glad you had a great time. The villa looks way better in person. Everything is close by taxi or renting a car. Take advantage of the tranquility of the resort. We prefer Maria Restaurant and the infinity pool. It was basically me and my family. Food is great inside the resort and outside, like Cabarete beach and Sosua Beach. Great experience and definitely we are going back!!!!! This property is beautiful in the picture however in person the villa is much more stunning. I traveled with 6 adults and 3 small children to this property. In order to get into the community there was 24 hour security which made us feel safe. The property was very clean and stocked with everything detailed in the description. The property manager met us upon arrival to welcome us and made sure we were settled in and comfortable. Before arrival he also helped us set up cooking and cleaning service. The cooking(Annie) and cleaning (Juana) service was amazing. We felt as if we were on a private resort. The women were very professional, meals were made at the time requested everyday and there were many individual food allergies she had to work around. This property is located in a great area. There are supermarkets and shops just 5 mins drive away. Many beaches just 5/10 min drive away. The villa is also located in a great spot within the community. Just a couple minuet walk to the community amenities such as restaurants, beach, pool and water park. Paul was very responsive to all questions i had prior to arrival as i was traveling with a group of people and had many different questions/request. 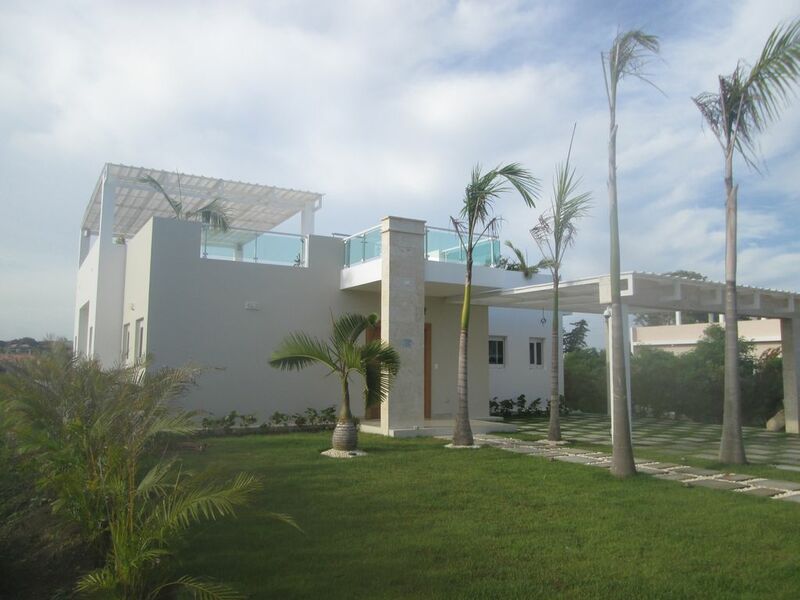 I would definitively recommend this property to anyone traveling in the Sousa area of DR. Thanks for staying with us, glad you had an enjoyable vacation. Hope to have you back in the future. Thanks for staying with us, glad you enjoyed our vacation villa. We hope you see you back soon. Had a great time in the DR at this impressive villa. Would recommend it to anyone looking for a home away from home. The owners are thoughtful and easy to work with.